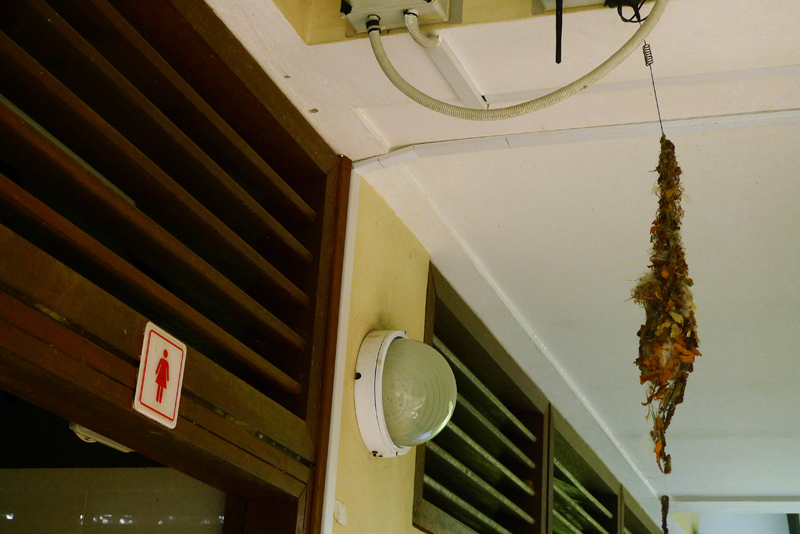 Last week (21 April), Ria noticed that the sunbird's nest outside the female toilet at Pasir Ris Park carpark C was gone/removed/destroyed (?). We were rather sad about it and we didn't took photos of it that day. It was puzzling for us as we saw the nesting nest 3 weeks ago at the exact same location. Last week when we came back, it was gone. This week it appeared again. Some disappearing act! 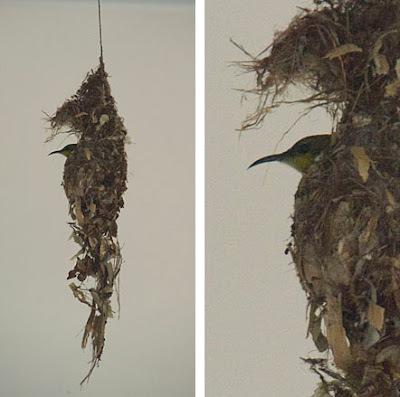 However on a closer comparison with the photo Ria took 3 weeks ago, it looks like a different set of nest. 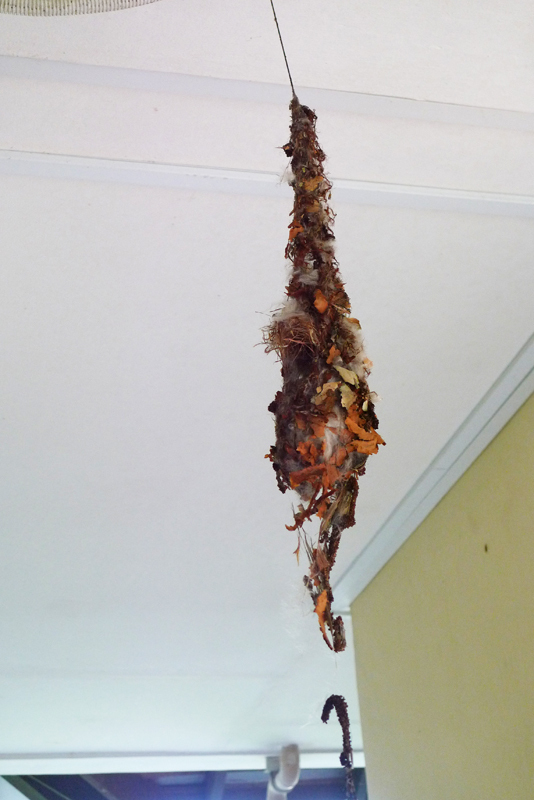 By comparing the structure of the two nests, it looks like what we saw today is a different set of sunbird's nest. Great investigative work! Amazing that another nest is back! Thanks for this.